A verse-by-verse examination of Scripture that exposes then false doctrine of predestination and illuminates the free will and responsibility of man. 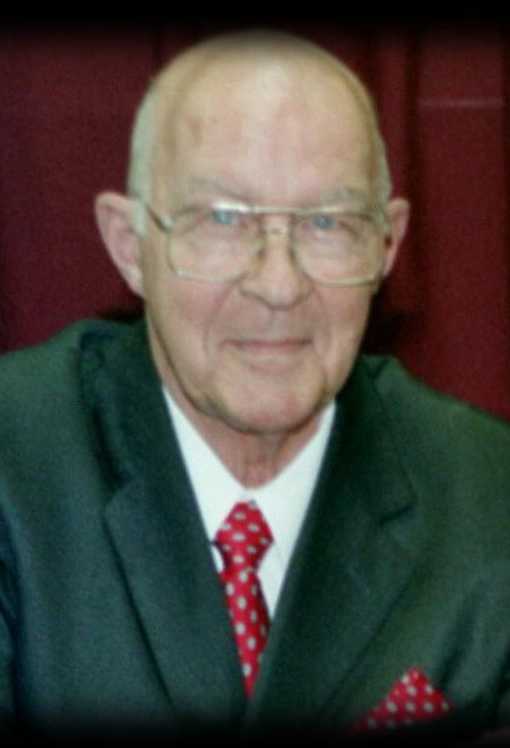 Mr. Bill McKay, owner of C.S.Q.P. Printing in N. Olmstead, Ohio, who did the printing. Bill is a personal friend who gave me great assistance in design, typesetting, and financial help, without which the book could not have been printed at this time. Harold and Patricia Cassell who have spent untold numbers of ours in collating and binding thousands of copies. Their enthusiasm and cheerful attitude has been more than encouraging. Copyright Pending. No portion may be reproduced without permission. This book was not written to present evidence for winning a popularity contest. Allow me to qualify this statement. Many times a writer will seek to support his views concerning a subject or doctrine by quoting other men who share his same ideas. One book in particular devoted approximately 90 pages in quoting Articles of the G.A.R.B.C., confessions of faith, theologians, Bible teachers and preachers. I would have to say that the author had gone to great lengths to align my thinking with his. The only problem is, I would be persuaded by a group of noted names instead of God's Word. I think the middle verse of the Bible might be considered, "It is better to trust in the Lord than to put confidence in man" (Psalm 118:8). I have purposely eliminated quotes, statements and sermons from men of renown as I desire the reader to draw his own conclusions from the Word of God, not the word of men. I could have listed and quoted a multiplicity of Bible colleges, theologians, pastors, Bible teachers and, literally, thousands of Christians who believe just as I. But this is not my purpose. The Bible will speak for Itself. "To the law and to the testimony: if they speak not according to this word, it is because there is no light in them" (Isaiah 8:20). In our examination of the passages of Scripture that deal with predestination, choosing and election, I have endeavored to view these verses in their context and correlate other verses that speak on the same subject. In so doing, one will always have the true mind of God as one Scripture cannot contradict another without giving birth to a false doctrine. With a thorough knowledge of God's Word on a certain subject, a Christian then possesses a solid foundation which will stand firm against the showers of false teaching. I pray this book will be a blessing and encouragement to you as we walk together through the Bible, viewing God's Word on this great subject. This book is in dedication to my wonderful wife, Marge. Her patience and encouragement is unsurpassed during the many night hours spent in writing this book, not to mention the hours she spent in typing, retyping and making corrections in the manuscripts (Proverb 31:10). May I also extend my deepest appreciation to the members of Heritage Bible Church for their love, patience, and support in seeing this book completed. They are a tremendous group of Christian people whom I have the privilege to pastor. I am also deeply indebted to two great men of God. Dr. Thomas Duff, pastor of the Troy Baptist Temple in Troy, Ohio, who led me to Christ. It was here I was first taught the great truths and doctrines of the Word of God. The second is Dr. Mark G. Cambron, president and founder of Seaside Mission and president of Florida Bible College. He is one of the great Bible teachers today. It was my privilege to study under Dr. Cambron where these giant Bible truths and doctrines were amplified (2nd Timothy 2:2). The purpose of this book is four-fold; to show that God is justified in judging the lost, to illuminate the false doctrine of election and predestination concerning salvation and service, to reveal that man is totally responsible for his actions and decisions, to repudiate the mutilation and distortion of God's Word in Dr. Nettleton's book, "Chosen to Salvation." Since God loved the world, paid for the sins of the world, and gives anyone in the world (whosoever) the opportunity to be saved, then God is justified while the false doctrine of election to salvation is found unjustifiable. False doctrine illuminated. False doctrine can only be built upon bits and pieces of Scripture, extracted out of context and clothed with humanistic ideologies. Restoring these Scriptures and examining them in their proper context will restore a solid foundation of sound doctrine and illuminate the false doctrine of predestination and election for salvation. We are told in 2nd Timothy 2:15 to "rightly divide the word of truth." We are not to whack out pieces of Scripture to support our own man-made doctrine! If election to salvation is true, then man has no freewill of his own; therefore, he must do as he is programmed to do. No, we are not robots but thinking beings, created of God. God gave Adam and Eve the freewill to obey or disobey when He placed them in Eden. The right of choice and freewill has been extended to every individual since then. Therefore, man is totally responsible for his own destiny since God "...is longsuffering to us-ward, not willing that any should perish, but that all should come to repentance" (2nd Peter 3:9). "Chosen to Salvation" by Nettleton (pub. by Regular Baptist Press). I was advised they would consider my book for publication if I did not attack Mr. Nettleton of his book. This I rejected as I do not want to be restricted in my writing, especially concerning a major doctrine. I do not want to forfeit my liberty in referring to a book or its author that I am convinced is in error with the Scriptures. Mr. Nettleton has been on the Council of 18 several times and surely does not represent the entire populace of the G.A.R.B.C. with his book. I invite any interested to examine with me the misuse of Scripture and the false doctrine it supports of God electing some to salvation. As you read this book, you may feel that I have been unkind in some of my statements. I only feel we should be as forthright in refuting false doctrine as those who are projecting it. If you have studied the life of Christ in the New Testament you will recall that Christ rebuked the false teachers, labeling them as hypocrites (Matthew 23). He called those who lied liars (John 8:39-47). He called those who committed immoral acts adulterers (Luke 16:18). A false doctrine is a Satanic doctrine--of demons--and this needs to be realized (1st Timothy 4:1-3). The "doctrine of election to salvation" is not some mini-doctrine that one can have the attitude towards, "Well, it doesn't amount to that much. Let's not make an issue over it." This is exactly what Satan would like. No, it is not a minor doctrine, it is one of the major doctrines of the Bible. When you project a doctrine that attacks the character of God (making Him unjust) and the Word of God (making It contradict Itself), you have a Satanic false doctrine. "Election to service. 'Ye have not chosen me, but I have chosen you, and ordained you, that ye should go and bring forth fruit, and that your fruit should remain...' (John 15:15). God does ordain some to service. In the case of Jeremiah He said, 'Before I formed thee in the belly I knew thee; and before thou camest forth out of the womb I sanctified thee, and I ordained thee a prophet unto the nations' (Jeremiah 1:5). Likewise it was said of John the Baptist before he was conceived that 'he shall be filled with the Holy Ghost, even from his mother's womb' (Luke 1:15). This filling was for service. 'And many of the children of Israel shall he turn to the Lord their God (Luke 1:16). Since God chooses some individuals to serve Him, surely He chooses to save them first, since His saved ones serve Him. The entire plan is God's--the salvation, the means of salvation and the service which is the result." In analyzing the last paragraph we find a lot of confusion in Nettleton's conclusion. Read it carefully and notice what he says, "His saved ones serve Him." Allow me to ask you, is this true according to the Word of God? Of course not! Was Peter lost when he denied Christ three times? (Matthew 26:69-75). Was lot lost when we hardly find anything complimentary in Scripture concerning his life? 2nd Peter 2:7,8 tells us he was saved. The book of 1st Corinthians was written to one of the most carnal churches that ever existed, yet they were saved as we find in 1st Corinthians 1:2. Nettleton leads his readers to believe you are not really saved if you are not serving the Lord. This is very confusing to a new Christian and in sharp contrast to God's Word. For example, in John 1:12 we become a child of God or a son of God by receiving Christ. In Hebrews 12:5-8 God tells the Christians that He will chasten or correct His children for sin because He loves them. In verses 5-8 He reminds us five times that we are still His sons and not lost, even when disobedient. In 1st Corinthians 3:14 we are assured of rewards for serving Christ. In verse 15 we are told that we can lose our rewards for lack of service, but we are still saved. If one continues Nettleton's statement to it's conclusion, you end up with nothing but confusion. All the saved will serve. Not true. This is the "front door" approach. If you are not serving, you are not saved. Not true. This is the "back door" approach. If number 1 is true, then very subtly the doctrine of eradication of the sin nature springs forth. Not true. (Read Romans 7:14-25). The Christian has a battle with the old nature until the Rapture, when he receives his new body. In reference to number 1, then everyone who appears to be serving Christ is saved. Not true, for you cannot tell if a person is saved by the way they live. Matthew 7:22-23 exposes the counterfeit Christian possessing wonderful works, but not believing the right message. The only way you can tell if a person is a Christian is if they are trusting Christ as Savior, plus nothing. That Christian may or may not possess good works! An example of another stem of false doctrine growing from these roots is revealed. Let's say that you are serving Christ, but get discouraged and stop. Were you saved to begin with? Did you lose your salvation? Did God become unfaithful to His Word and promise of eternal life because we became unfaithful to Him? Not true. God's faithfulness to His Word never depends on our faithfulness! Remember, these are stems that continue to grow from the roots of "Chosen to Salvation." Complete confusion is the result of the statement, "His saved ones serve Him." Let us analyze this. If I am saved, I will serve. If I am not serving, I am not saved. If I am elected to serve with no will to do otherwise. If I do not have a will to disobey or sin, then I would have to have had my old sinful nature eradicated. If I have no sin nature since I am saved, how can I lose my rewards at the Judgment Seat of Christ as I would never have ceased to serve Christ? I hope you can begin to see the confusion that is caused and the undercurrents that roar in opposition to God's Word. On the surface "His saved ones serve Him" seems very smooth, but a deeper examination of the undercurrents only shows God's Word in agitation crying, "No, No, that is not true!" Perfect Bound (Paper-back) 5-1/2 x 8-1/2, 196 Pages, suggested donation is $8.00. This book is a refutation of David Nettleton's book, Chosen To Salvation. It covers all the Scriptures relating to the false doctrine of predestination for salvation, providing the reader with tools for witnessing. This is a difficult subject and you will see how dangerous and manipulative it is when someone takes pieces of Scripture, and whole verses out of context, to build a false doctrine. This is an insidiously, evil doctrine and is nothing less than an attack on the Grace of God. There is a Scripture Index in the back for quick reference. The Suggested Donations Are For Shipping and Cost Only!